The Hill City track and field athletes participated in the Custer Invitational on Frdiay. The Rangers competed well; had new state meet qualifiers and broke two meets records in the process. For the Ranger girl’s relays, the girls Medley team, consisting of Stephanie Qualm, Alise Kelting, Jessica McDonald and Mariah Asheim ran their best time of the year (4:44.98) to finish in 3rd place. In field events, the Lady Rangers competed very well. In the girls high jump, Kelby Weiderhold and McDonald tied for 7th (4’6”). Weiderhold also had a great day in the discus ring, throwing 95’7” for 5th place. In the Shot Put, placing well again was Stephanie Burleson, who threw 31’6” for 6th place. On the track the girls had placers in the 200 with McDonald speeding to 5th (27.49) and the 1600m with Qualm running a season best 4:43.96 to place 3rd. The Ranger boys had four new qualifiers for the state meet, including hurdler Jacob Allen, who won the 110 meter hurdles in a fantastic fashion, clocking in at 15.35. Andy Coy and Hudson Koel qualified for the state meet in the 800 meters, finishing 1st and 2nd in 1:58.41 and 2:01.18, respectively. Coy rewrote the meet record which he set at last year’s event. The boy’s 4x400 meter relay team of Chance Clason, Adrian Salinas, Koel and Coy ran a 6 second season best (3:31.03) to win the race, set the meet record and qualify for the state meet in the event. In the field events, Allen was 3rd in the Triple Jump (39’11.5”) and 5th in the Long Jump (18’5”). Quint Wooldrige had another top-notch throw in the Shot Put (39’5”) to finish 5t h and Trevor Rosskneckt threw 126’5” in the Discus to place 5th. On the track for the boys, the 4x800 relay team of John Bintliff, Clint Lewis, Andy Quenzer and Salinas ran to a 2nd place finish, running 8:50.10, a mark which sets them in the top five Class A 4x800’s this season. In the sprints, Chance Clason ran a personal best 11.51 to place 4th in the 100 meters. Clason came back later in the day to run another personal best in the 400 meter open event, running 54.13 for third place honors. In the 200 meters, Clason was 7th in 24.13. Clint Lewis ran a big personal best in the 3200 meters to finish 3rd (10:57.03). In addition to Allen in the 110 hurdles, Colton McLaughlin ran another much improved race, finishing 5th in 17.54. In the 300 meter hurdle race, Allen was 3rd in a season best 42.79, freshman Kyle Alexander ran 45.6 for 6th and McLaughlin placed again, running 46.93 for 8th. The Rangers will be on the track twice this week, competing in the Northern Hills Meet Tuesday in Belle Fourche and at the Black Hills Track Classic in Sturgis this Saturday. 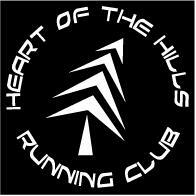 Visit, www.heartofthehillsrunningclub.com for further information on these meets.